This is the oldest cache that you can log on continental Europe. 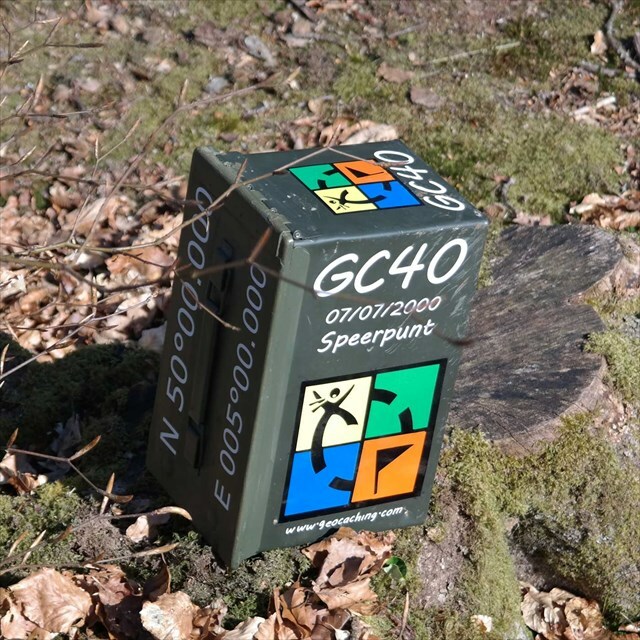 It is one of the first caches ever in Europe and was placed 7/7/2000 by Pierre Cao. It was transferred to Speerpunt in 2003 and he maintained it for 13 years. He transferred it to Grokky in 2016. You are visiting a part of geocaching history, so please take good care of the cache. The Haut-Fays Geocache - GPS Stash Hunt This is the second GPS Stash Hunt to be set in Belgium. It was set on the 6th of July, 2000 near Haut-Fays [map]. The idea of this one came from the Degree Confluence Project although it is not an "official" point for this project. Why? Because for latitudes above 49 degree they drop every third point :-( This one is in south of Belgium, not far from France, in the Haute Lesse area. That is a very attractive and touristic area in the belgian Luxembourg province, though the stash is actually in the Namur province. There are many other things to visit and enjoy after you will have found the stash. You will be just some kilometers west of the European Space Agency ground station in Redu. This site is operated by Ciset and controls more than 80 geostationary satellites (no, not the Navstar satellites that your GPS uses!) A more recreational site about space is the Euro Space Camp. The small village of Redu is also known for being a "book town". There are more than 20 bookshops that you can visit in a friendly and relaxing environment. The geocache is located in the woods at about 10 meter from a paved road (N835). A 1/200.000 Michelin road map (sheet 214) should be enough if you want to go by car or road cycling. We chose to leave our car at the Redu's ESA station and go with a mountain bike. To get to the stash it was a 17km westward ride, mainly in the woods and trough the village of Gembes. We came back mainly by paved roads and trough the village of Daverdisse for a total of 39km round trip [map]. The topomap was absolutely necessary. The IGN 1/25000 sheet 64/1-2 (Haut-Fays - Redu) covers this area. Be aware that the coordinates on that map are not WGS84. More details on that on the IGN web site: in French or in Dutch. The stash is a ammo box. 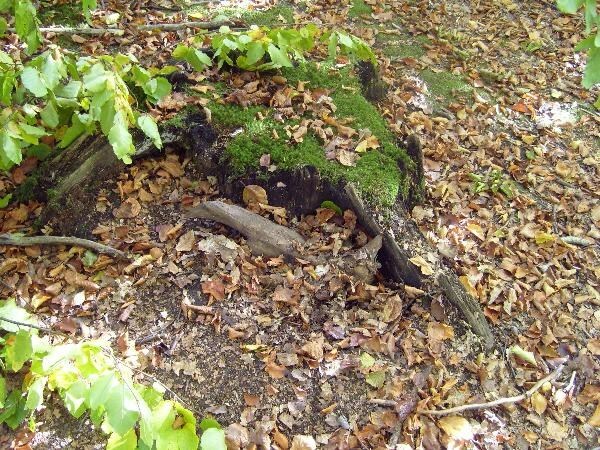 It is burried between the roots of a large stump (on the side facing north). The ammo box is coverd with some leaves and small branches but remains evident for the one who searches for it. It is marked in big blue letters "Geocache - GPS Stash Hunt" and the coordinates. We took some pictures and they will be published here (it may take some time, though...). The initial contents: a log book and a pencil of course, plus some roller pens, orange juice, green-and-white "antistress" ball,... No batteries in this one but genuine belgian chocolate (56% cocoa, 0% other vegetable fat). As the rule says: take something, leave something, write in the log book.. And now for the coordinates: after a 15 minute averaging, the Garmin GPS III Pilot confirmed the cache is at: N50°00.000' - E005°00.000' (WGS84) That position was determined with 9 sats, DOP 1.2 and EPE 5 meters. The averaging showed first E004°59.997' and Estimated Precision 4.6m. This geocache was visited for the first time on July 16, 2000.